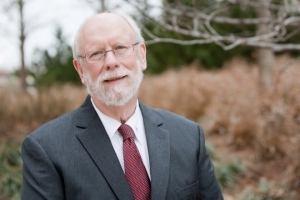 Rex E. Herren, brings over forty years of experience to GableGotwals in the areas of Title Examination, Oil and Gas, Real Estate Law, Indian Law and Probate Law. He has worked with both the Five Civilized Tribes in Eastern Oklahoma and the General Allotment Indians in Western Oklahoma. Rex has also served as Assistant Regional Solicitor with the Office of the Solicitor in Tulsa, Oklahoma. As a resident of Cordell, Oklahoma, Rex is very active in civic affairs in Cordell, serving as President of the Cordell Chamber of Commerce in 1989, Secretary of the Cordell Memorial Hospital Board of Trustees since 1988,and Chairman of the Mission Committee and Treasurer of the 4th and College Church of Christ in Cordell.